Matt Crafton, driver of the No. 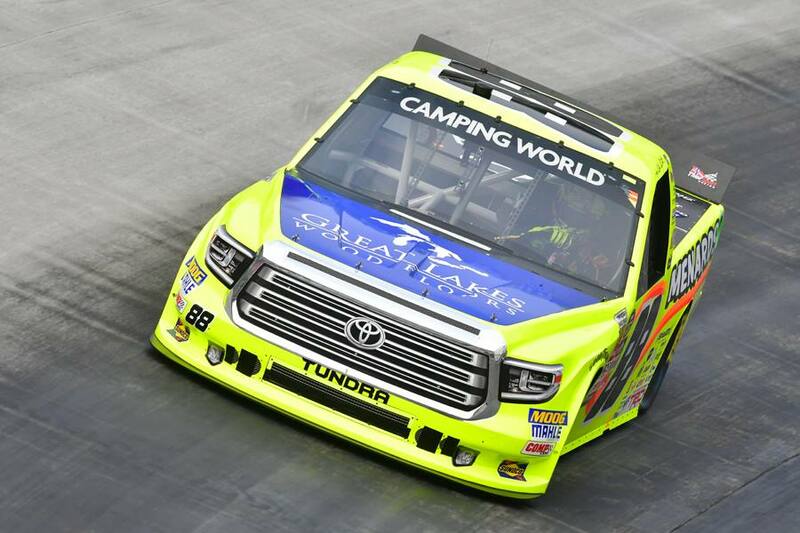 88 Great Lakes/Menards Toyota Tundra made his 15th career start at Bristol Motor Speedway in Wednesday night’s rain-delayed NASCAR Camping World Truck Series (NCWTS) UNOH 200. 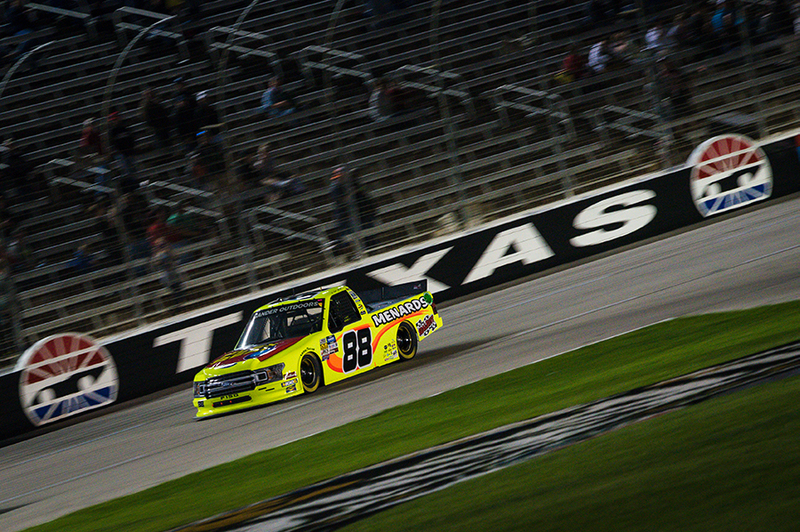 Starting sixth, Crafton battled a tight Menards Tundra throughout the 200-lap event, finishing third in Stage 1, and second in Stage 2. During the final pit stop of the night, Crew chief, Carl “Junior” Joiner brought the No. 88 machine to pit road, for four tires, fuel and a chassis adjustment, to aid in the handling.  The ThorSport Racing driver would gain the lead on pit road, and continue to lead the ensuing 50 laps. Unfortunately, at lap 166 of 203, Kyle Busch would take the lead, and never looked back. The two-time champion would cross the stripe, in overtime, in the second position. The solid run was Crafton’s fourth top-five finish in “Thunder Valley,” and the fourth of the 2017 season. 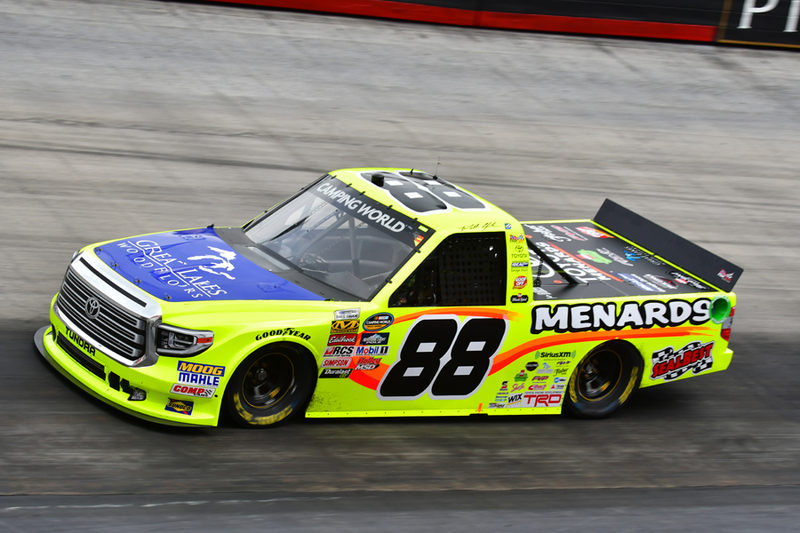 The NCWTS had two practice sessions on Wednesday morning in preparation for Wednesday night’s UNOH 200 at B Matt Crafton was fourth-quick, respectively, in both sessions. Starting sixth, Crafton led the field twice, for 90 laps, finishing third in Stage 1, fourth in Stage 2, and second in the UNOH 200 at BMS. In 15 starts at BMS, Crafton has led 129 laps en route to four top-five and nine top-10 finishes. In 14 starts in 2017, the Menards driver has led 196 laps en route to one win (Eldora), four top-five (Atlanta), and 10 top-10 finishes. In 398 career starts, Crafton has 13 poles, and has led 2331 laps en route to 14 wins, 101 top-five, and 236 top-10 finishes. 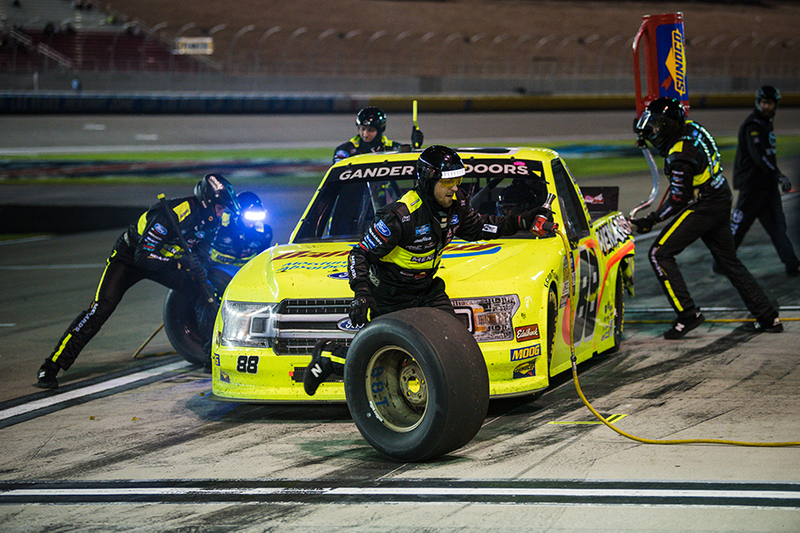 Crafton’s ThorSport Racing teammates finished fourth (Enfinger), fifth (Rhodes), and 17th (Coughlin). 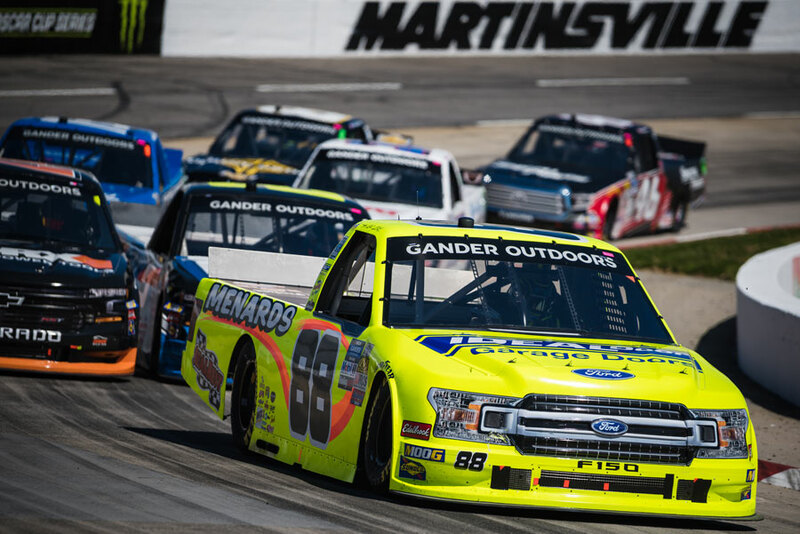 Up Next: The NCWTS 250 at Canadian Tire Motorsports Park on Sunday, September 3 at 2:30 p.m. ET on FOX Sports 1.